This retro roadster is packed with upgrades, but it's strikingly similar to the Bonneville T120. Topline: An old name that dates back to 1938, the Speed Twin returns as a performance-oriented standard bike with a healthy dose of retro British styling. What’s New: The 2019 Speed Twin is an all-new addition to the ever-growing Bonneville family. It’s slotted above the new Street Twin as a higher-performance model with a bigger engine. 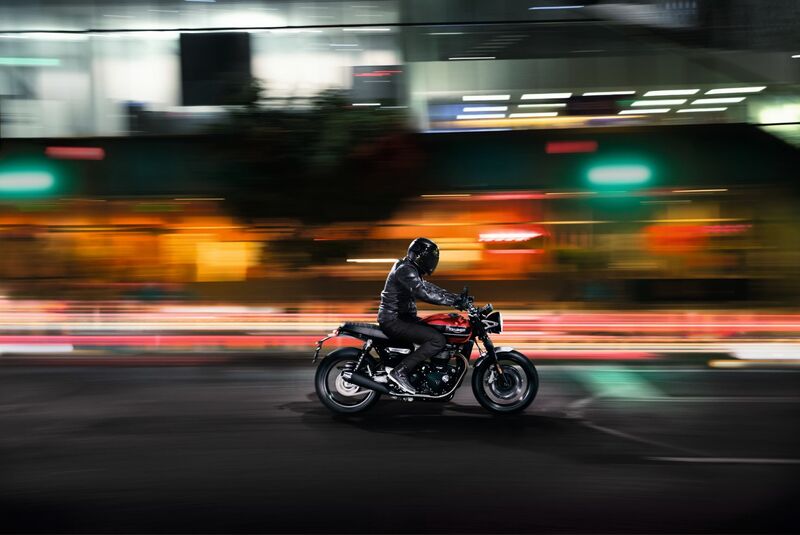 Specifically, a 1200cc Bonneville parallel twin engine with a “Thruxton” tune making 96 horsepower and 83 pound-feet of torque, which is a notable 49 percent increase in power and a 40 percent boost in torque over the 2019 Street Twin. It has a new frame that has more in common with the Thruxton R performance cafe racer than it does with the Street Twin, plus new front cartridge forks and twin rear shocks with adjustable preload. Stopping power comes from twin Brembo four-piston brakes up front and a single two-piston unit in back. ABS and switchable traction control are standard. 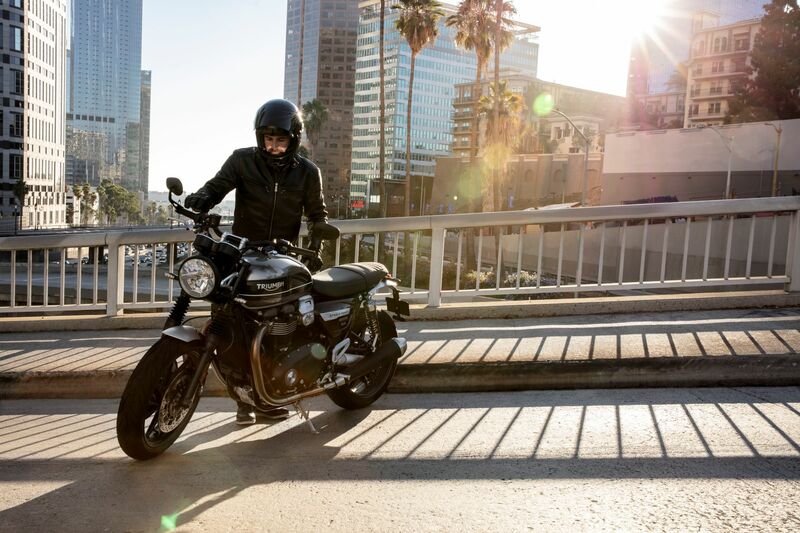 The complete package is a bike with a dry weight of 432 lbs, making it 22 lbs lighter than a Thruxton and 60 lbs lighter than a Bonneville T120 while having performance numbers similar to the Thruxton. 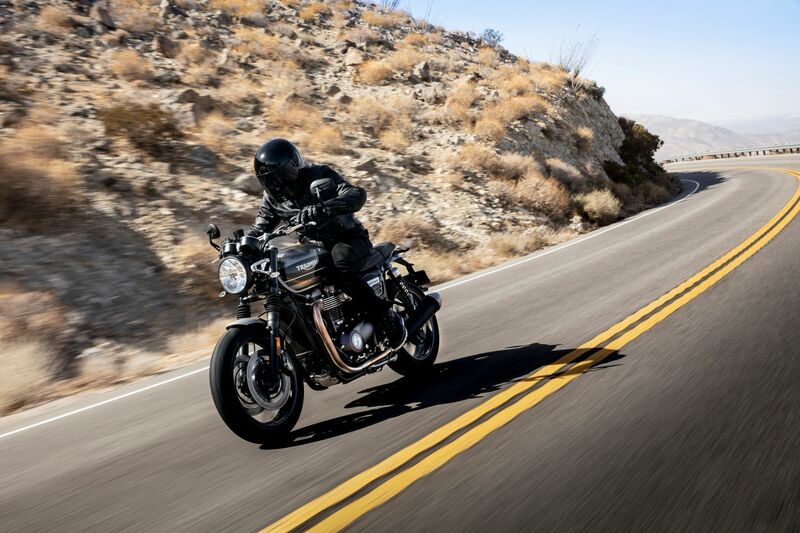 That means you can get a more comfortable upright riding position and less weight with the Speed Twin than you can with the Thruxton 1200 without sacrificing performance. A slew of tech features similar to what’s found on the new Street Twin is coming to the Speed Twin as well. This includes three riding modes (Sport, Road, and Rain), LED lighting all around, a USB charging socket, ride-by-wire, and a torque-assist clutch. Instrumentation looks very pretty, as to be expected from Triumph, while packing in plenty of information for the rider. What You Need to Know: Triumph’s line of “Modern Classics” is getting pretty crowded. Dare we say the Speed Twin is a bit redundant? In terms of what it is as a motorcycle, it’s pretty similar to the Bonneville T120. Granted, the Speed Twin is more performance oriented, has a new, lighter frame, and all kinds of modern tech. But it’s a retro-styled roadster with a 1200cc parallel twin engine, so we have to ask, why not just make the Speed Twin the new T120? The idea is for the Speed Twin to be a high-performance variant of the new Street Twin, but its parallels to the T120 are hard to ignore. Their similarities might end up confusing potential buyers. That said, the Speed Twin is an impressive bike on paper. 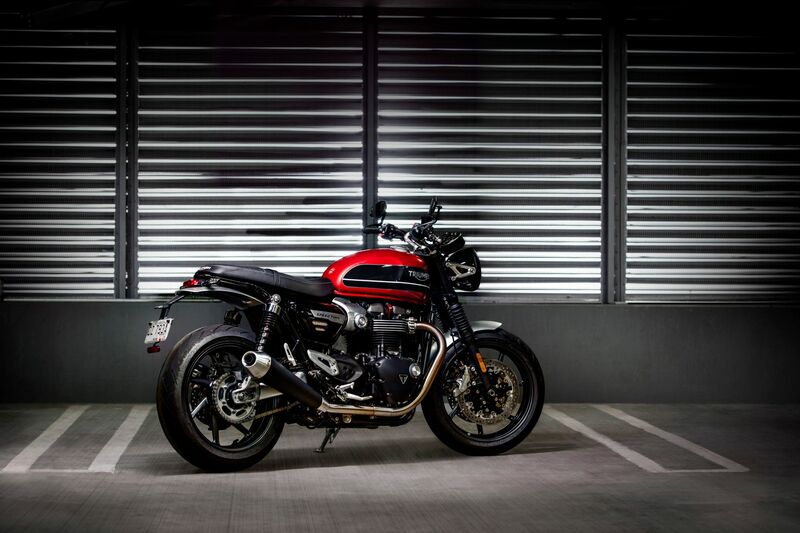 Triumph Bonnevilles might be multiplying like rabbits (this is the sixth bike in Triumph’s current lineup to wear the “Bonneville” name) but the Speed Twin looks to be one of the best among its many siblings. It will be available in the U.S. next February and pricing will be announced on January 18. 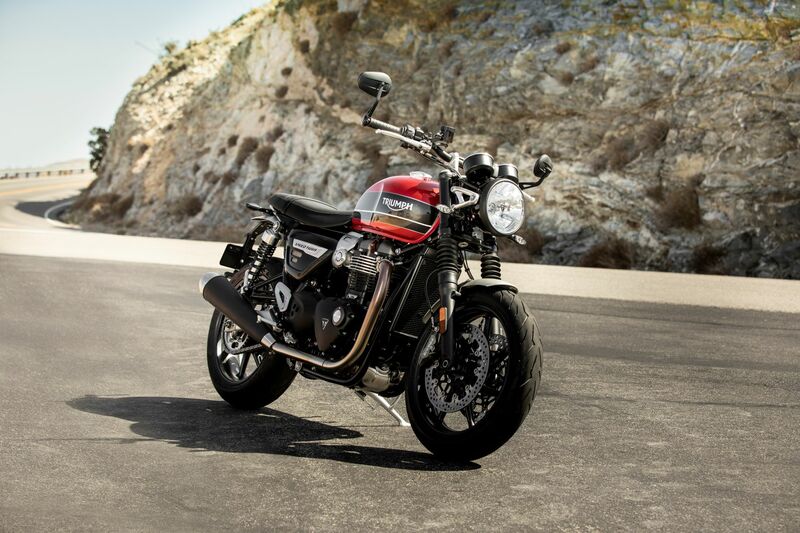 This refresh makes Triumph's entry-level modern classic motorcycles a little more appealing. 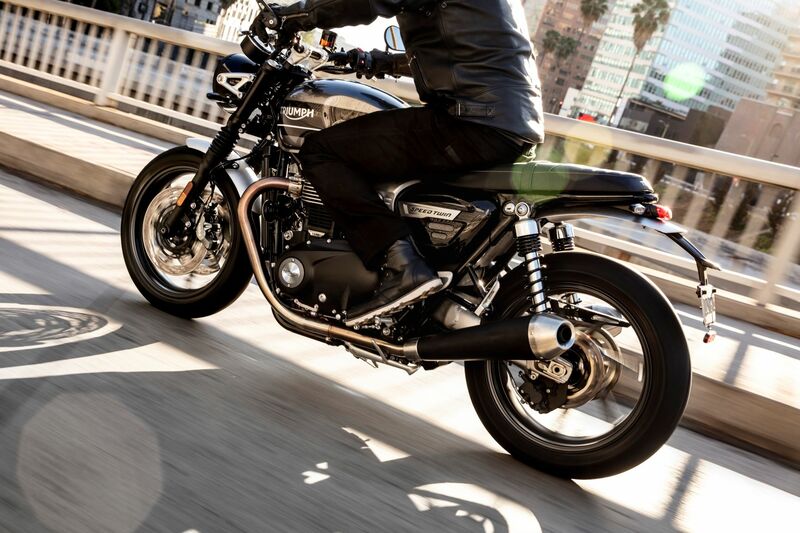 The Black variant brings even more attitude to Triumph's baddest bike. Integrated navigation and GoPro controls, retro looks, and real off-road capability make the Scrambler a standout. American cruisers are getting some serious new competition from across the pond. Even if you’re not a motorcycle guy, a fresh Bonnie is worth getting excited about.